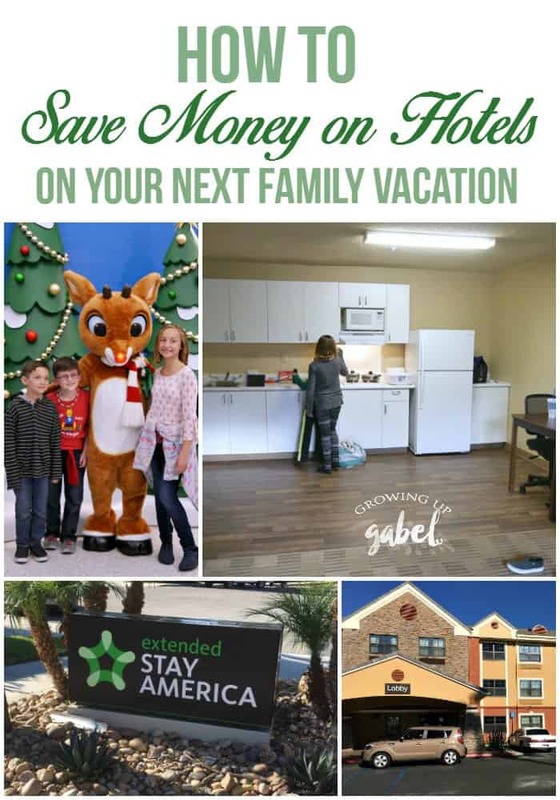 Learn how to save money on hotels on family vacations by staying with our sponsor, Extended Stay America, an affordable all-suite hotel with a kitchen so you can also save money on food. 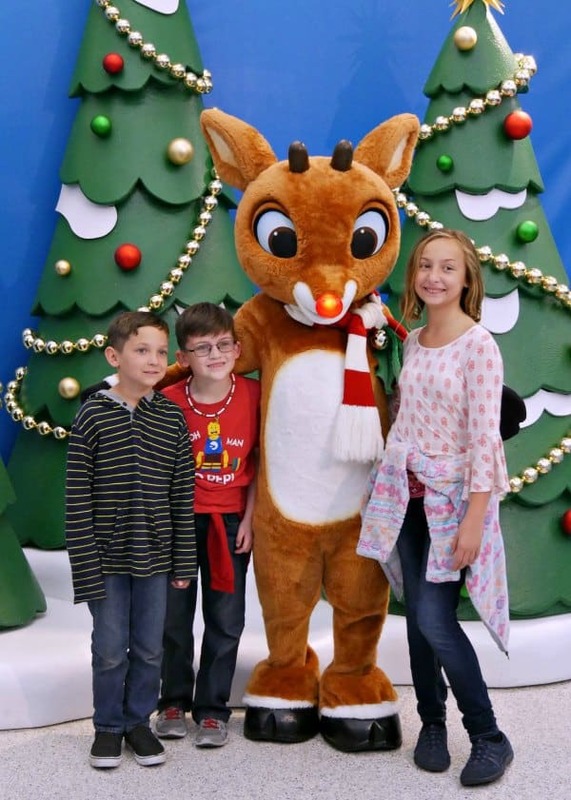 I have found in my years of planning family vacations that two of the biggest expenses are accommodations and food. And as the kids get older, you just need more space in a hotel room and end up spending more money to feed everyone. 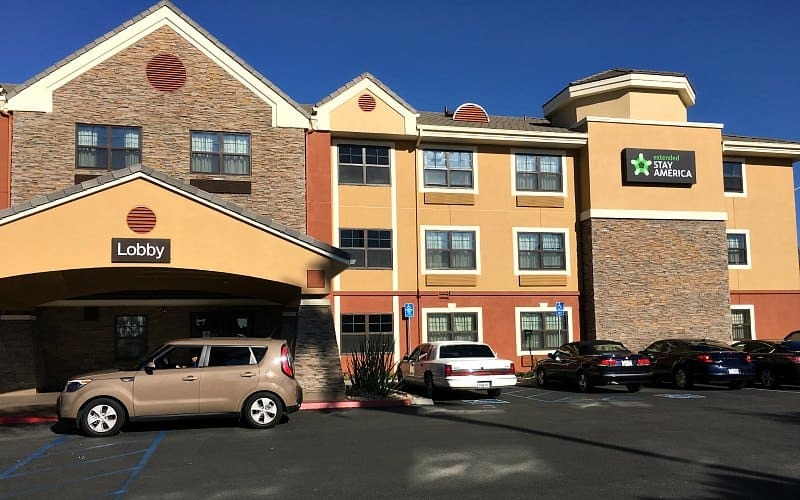 Extended Stay America helps to keep both of those areas in budget so you have more money to spend having fun. 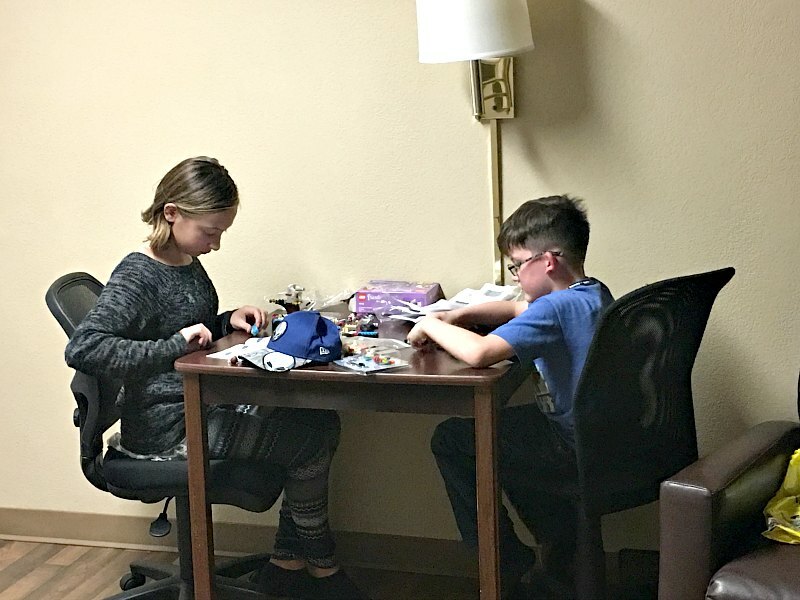 On a recent trip to the San Diego, California, Extended Stay America offered to host our family. 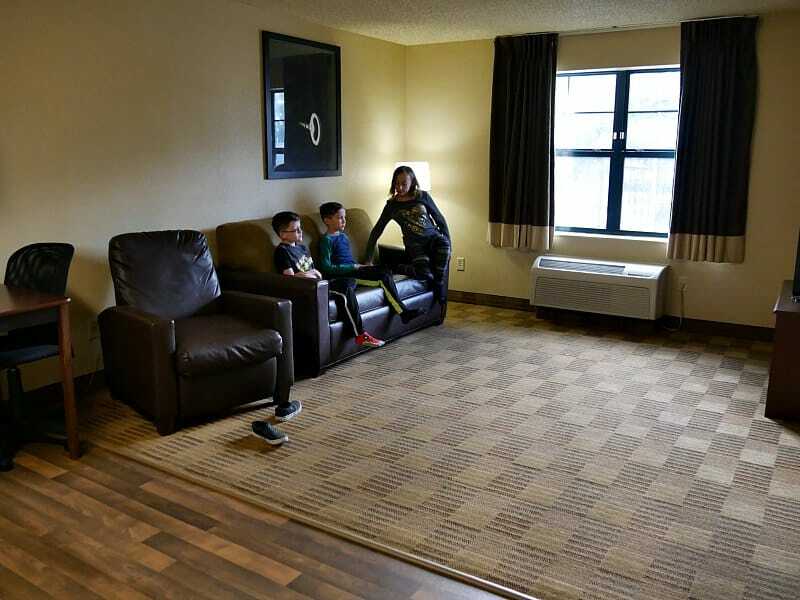 Extended Stay America offers spacious suites with full kitchens so your family has plenty of space and you can save money by cooking meals right in your room rather than eating out every meal. We stayed in a two bedroom King Suite in Carlsbad, California. The room was gigantic! The kids stayed in the main living area sleeping on a pull out bed in the couch. My husband and I had our very own room – WITH A DOOR – with a king bed and the one bathroom. 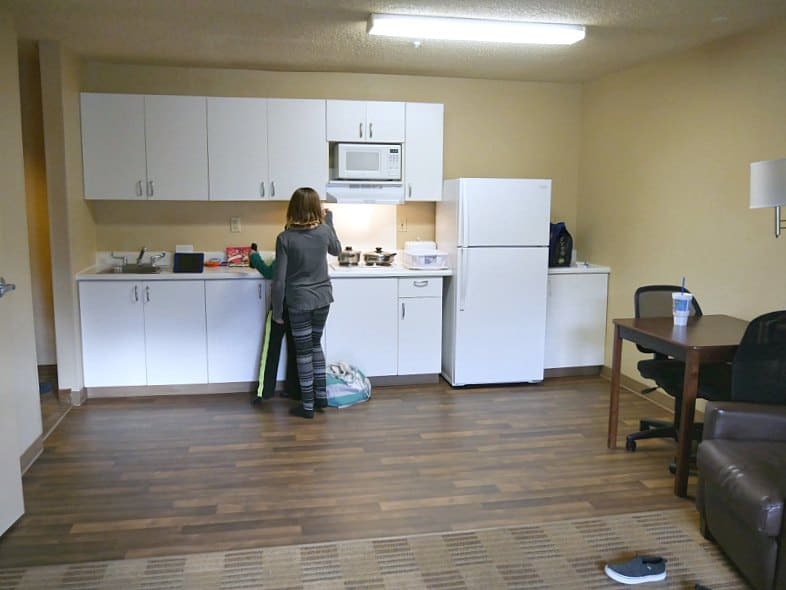 It was so nice to have two rooms and two TVs so we could all spread out and relax after a long day at an amusement park. And there was plenty of room to put together new LEGO sets from a day at LEGOLAND. Having a kitchen in your room is fabulous! We ate breakfast and dinner in our room and had lunch in the parks. This saved us so much money. The kitchen does not have an oven, though, so plan ahead for that. Extended Stay America has a fun site, Away from Home Cooking, with tons of recipes ideas for their kitchens, too. 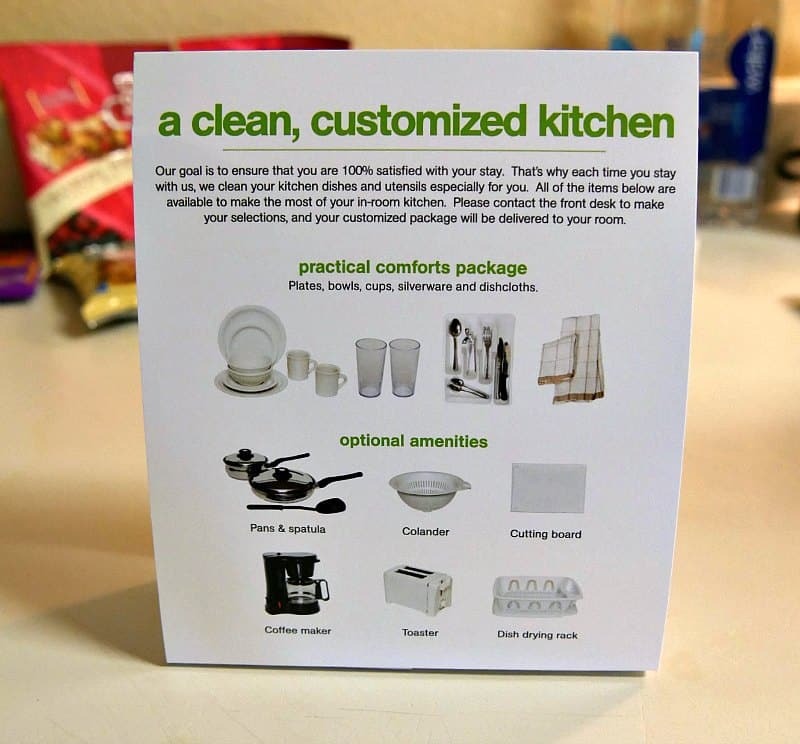 The Extended Stay kitchen comes standard with plates, bowls, cups, and silverware. You can also request pots and pans, a toaster, a colander, cutting board, and a drying rack at no additional cost. 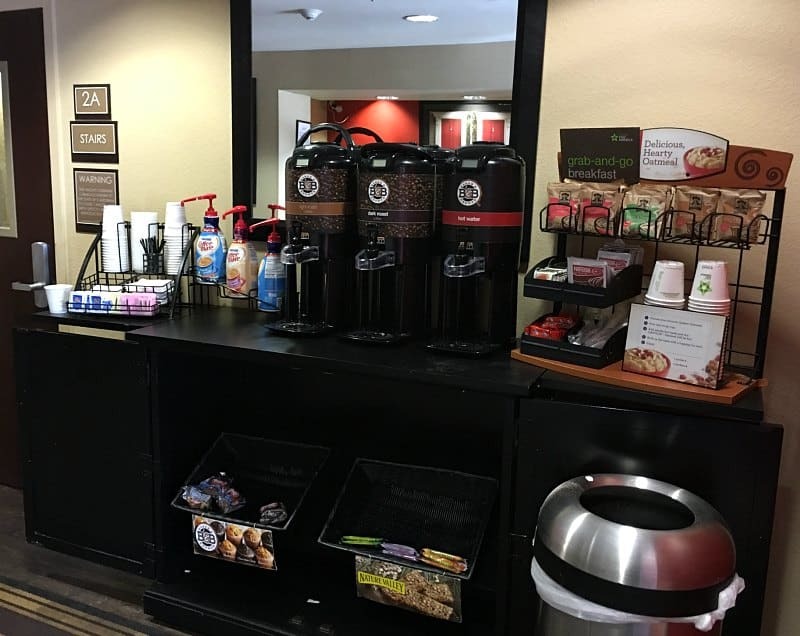 ESA also offers a coffee maker for your room, but we found the grab and go breakfast also had coffee so we just grabbed that. The bar also offers granola bars, muffins, and hot chocolate, which is a hit with kids. Having a nice spacious place to crash after a long day on our feet was fantastic. And having a kitchen where we could easily whip up something to eat, and not have to go back out, was even better. Although we left our dog at home, Extended Stay America is also pet friendly so even your furry friends can stay. Many of the ESA hotels also have pools and hot tubs so don't forget to pack your suits (like I did!). 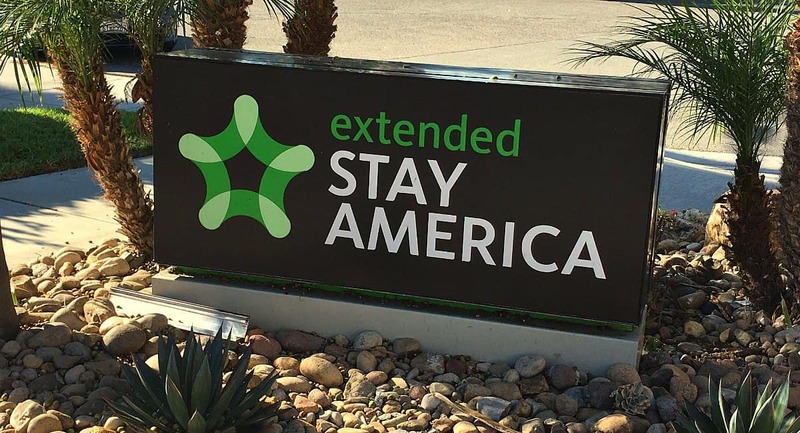 This summer, or any time of year, make sure to check out Extended Stay America for a great way to save money on hotels and food on your family vacation.